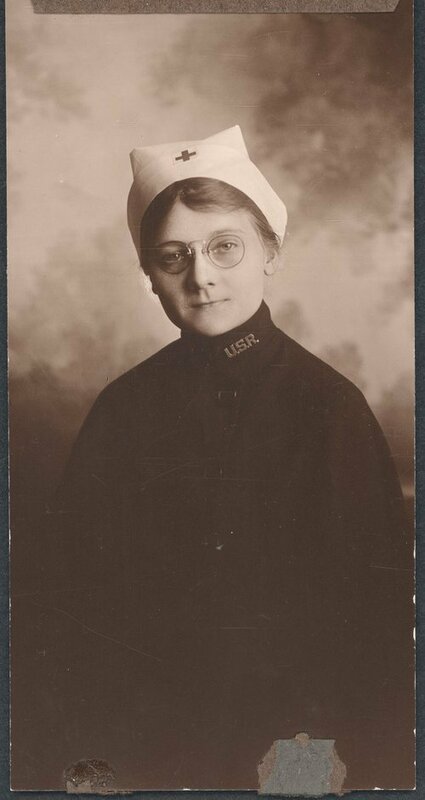 This photograph shows Sadie MacLean wearing a Red Cross Reserve Nurse's cap and cape. The uniform consisted of a gray cotton tailored dress with a white butcher's type apron. Sadie MacLean was stationed at Fort Riley during World War I.